The Reference 5002 is without a doubt the most complicated Patek Philippe wristwatch ever created. 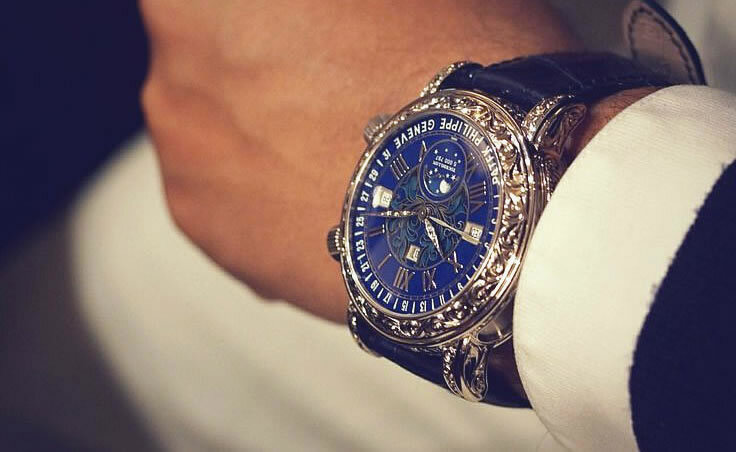 Also known as the Sky Moon Tourbillon, it features the first two-faced wristwatch from the company, with one side showing sidereal time, an angular motion of the moon and the night sky’s star map. 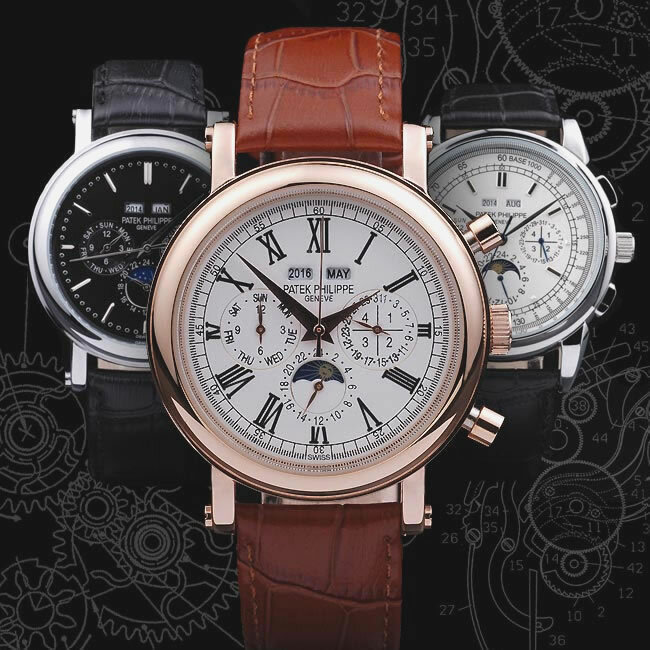 The other site shows a perpetual calendar and time, and it also has month and day subdials, retrograde date indicator, a leap year indicator and a moon phase display. You can’t see the tourbillon however you’ll know it’s there because on the month subdial it’s clearly indicated by the word “tourbillon.” It also features a minute repeater and you can manually wind the movement, which is made up of 686 parts. In 2001, the yellow gold version was priced SF950,000. 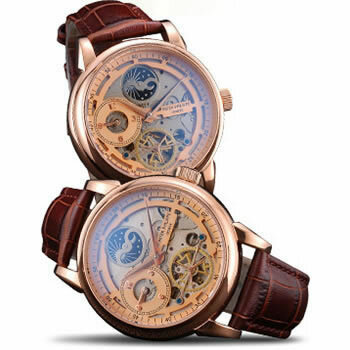 The 10-Day Tourbillon or Reference 5101 required the addition of a tourbillon to the double barrel base Caliber 28-20/220, a rectangular movement, which had a power reserve of 10 days. This modified movement was now 28-20/222 and it has a COSC certification (it’s 2x more precise than the COSC standard) and it also carries the much-coveted Geneva seal, as all Patek Philippe movements created before 2009. It’s manually wound and the 72 components of he tourbillon are very lightweight (0.35g). You can see the tourbillon through the caseback but never through the dial, as with other similar watches from Patek. That’s because, according to the company, UV light can age the lubricants in the tourbillon mechanism faster. The Art Deco styled case measures 27mm x 52mm. With a thickness of 5.25mm, the Chronograph Caliber CH R 27-525 PS is the holder for the title of thinnest split-seconds chrono movement to date and it uses two column wheels. The balance, along with other clearances are very small. The 60-minute counter has a special design which enables it to move continuously instead of jumping every minute. The manually wound caliber is made in-house and in 2005 was launched for Reference 5959. 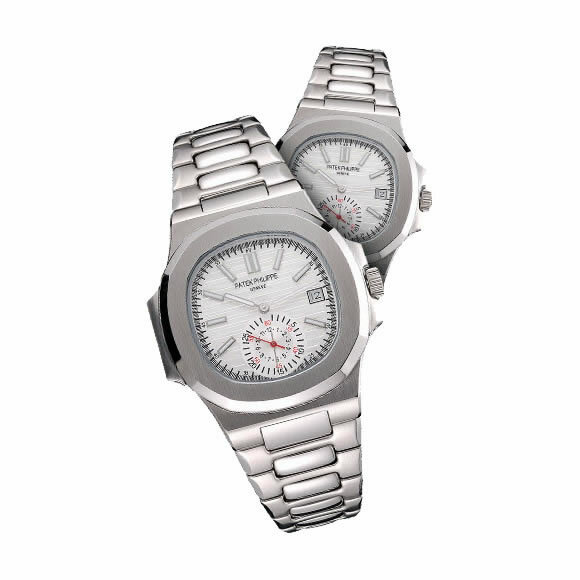 The watch has two pushers, the one between 1-2 o’clock guides the split-seconds and the one in the crown handles the start, stop and resetting of the chrono. The watch measures 33.2mm in diameter and has a thickness of 8.5mm. 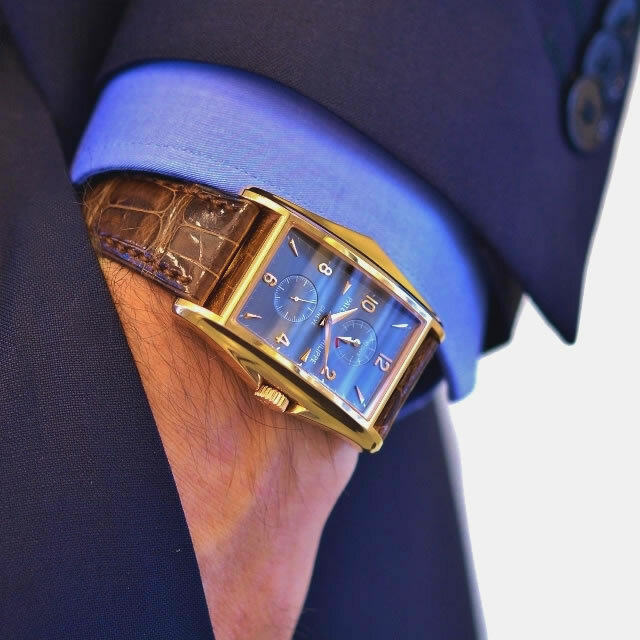 In 2005, Patek reached another milestone with the Reference 5250. It’s creation all started when the company decided to minimize friction so that lubrication of the watch movement will no longer be necessar. So it installed a silicone escape wheel in the self winding Caliber 315 movement which features an annual calendar. 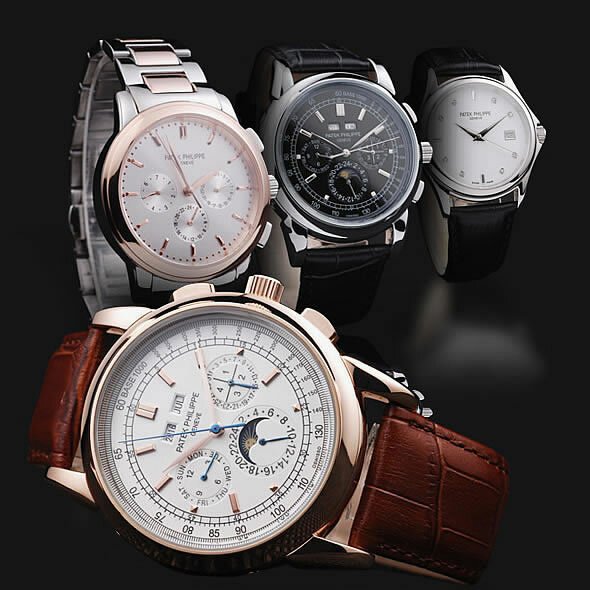 Patek used Silinvar, a special kind of silicone which form components that are ultra smooth they didn’t require oil. It also has a crystal structure very much like a diamond, and it is corrosion resistant while being anti magnetic and hard as well. This movement was used in Reference 5250, which was a limited edition watch with only 100 pieces made. The Caliber 28-520 IRM QA 24H was 8 years in the making, and the movement debuted in 2006 in Reference 5960. The movement is an automatic flyback chrono featuring an annual calendar and it had a 24 hour display and an indicator for the power reserve. The 5960’s hour counter and minutes counter for the chronograph shared the same subdial (6 o’clock) and you could keep the chronograph running without any major impact on the movement. So a tiny seconds subdial is not needed because if you want a running seconds hand, all you have to do is to turn on the chronograph. In the same year, Patek also introduced the Reference 5350 which is where everyone first saw the Spiromax balance spring being used. It’s made of Silinvar a special kind of silicone and it offers plenty of benefits. First of all, Silinvar is highly anti-magnetic and it has an excellent temperature compensation. It is lightweight and resistant to shocks. All these abilities improve its isochronism and accuracy. Patek also uses a silicon escape wheel and the movement has an automatic winding, a moon phase display and an annual calendar. There were only 300 units made for this watch. After two years since Patek introduced the Reference 5350, they launched another watch, this time called Reference 5450 and it features a Silinvar escape wheel, lever and balance spring. The Silinvar lever was created from 1 piece of pallet jewel instead of several and so the depth did not require individual adjustments. Also, it was shaped in such a way that it will maximize energy flow. Patek called the 3-piece Silinvar components as the Pulsomax escapement and it was used for the 5450. The Gondolo was re-launched in 2009 and it looked so much like the 1920s watch made by Patek for Gondolo & Labouriau, a jewelry store in Brazil. The watch maker started creating watches specially for the store in 1900 and they had so many styles. The Reference 5098 is a modern day version and it is a tribute to one of the most unique Gondolo watches – it has an oval hour ring with elongated tonneau which had huge Arabic numerals and a silver dial which was embellished. 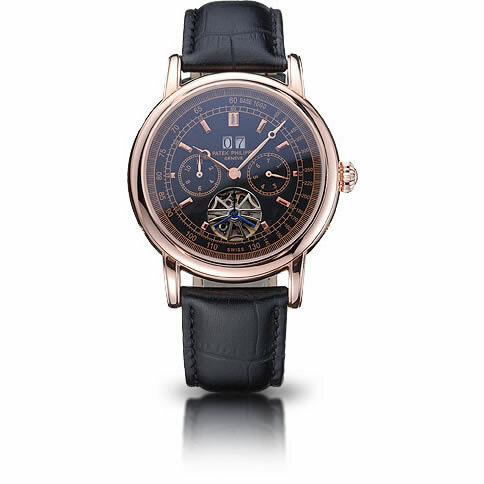 It is a manual wind and uses Caliber 25-21 REC, a platinum cases and a gold guilloche dial. The Reference 5170 was a much awaited watch and it contains CH 29-535 a manual chronograph. The movement is in-house and for 20 years Patek used the Lemania-based CH 27-70 for its chronographs that are manual wound. The new caliber was introduced in 2009 in the Ladies First Chronograph and a few months later, the men’s version, Reference 5170, arrived. It has a horizontal coupling and column wheel, both considered classics in chronographs. But it also has several innovative features including the clutch wheel and the chronograph wheel which work smoothly. It has a pierced minute-counter cam to ensure the hand quiver is reduced, as well as a column wheel cap that ascertains precise adjustments. This particular movement (CH 29-535) is the first movement that has the Patek Philippe’s quality seal, which replaced the Geneva Seal.